Looking for a great place to download FREE pre-made SMART Notebook files for your SMART Board or SMART Table? 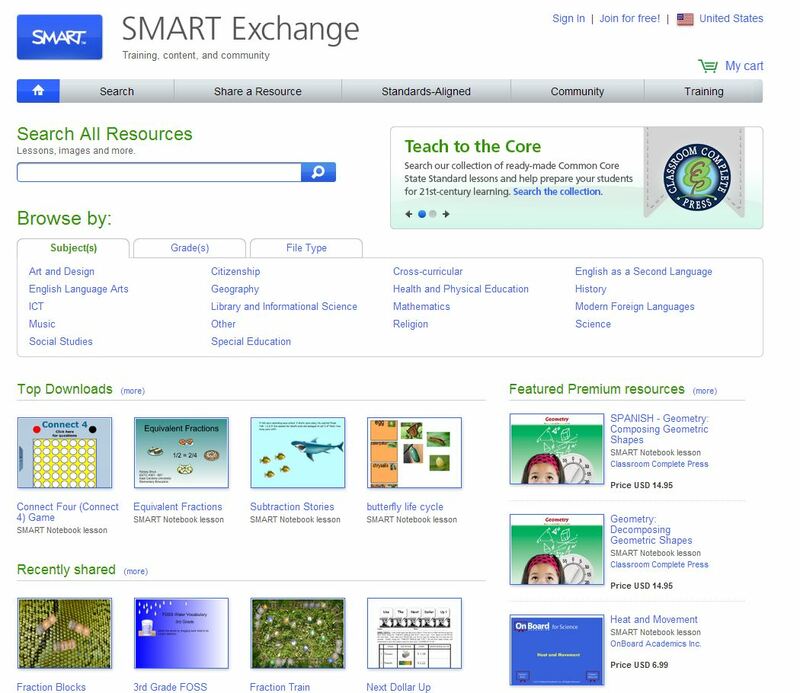 The Smart Exchange has tons of SMART user and teacher made SMART Notebook lessons and activities that are ready to use. Search for lesson by exact content (i.e. fractions) not by the general subject (i.e. Math) . It’s pointless to browse by subject. Every time you do so, you will be directed to the typical Jeopardy templates.